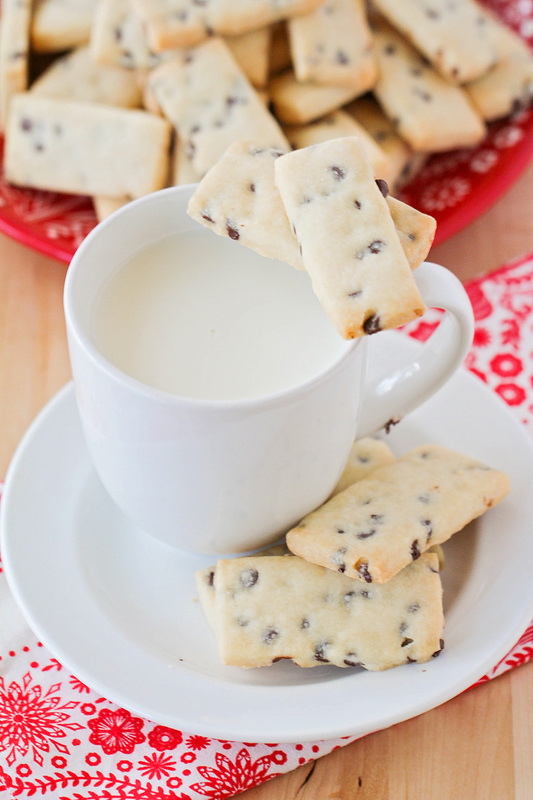 These crisp and buttery chocolate chip shortbread cookies are perfect for dunking in milk or hot chocolate! If you asked me which type of food I cook the most frequently, the answer would probably be a tie between tacos and cookies. I cook each of them at least once a week, but often 2-3 times per week. They're kind of the two greatest foods in the world, right? 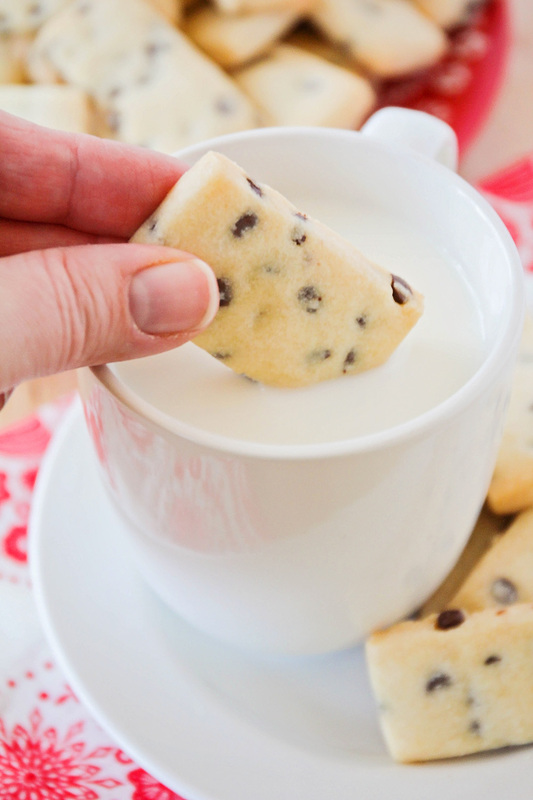 Since today is National Cookie Day, I'm sharing these amazing chocolate chip shortbread cookies with you, so you can celebrate right along with me. They're crisp and buttery, full of chocolate flavor, and so delicious! These cookies are perfect for dipping in milk or hot chocolate, and so addicting that you won't be able to stop eating them. They're also incredibly easy to make! I love a recipe that has just a handful of ingredients, takes just a few minutes to mix up, and still tastes totally amazing. 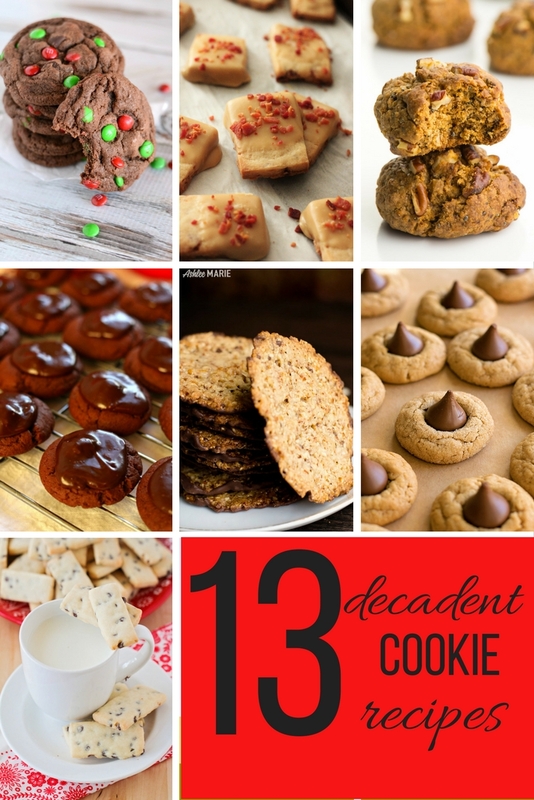 These are definitely one to put on your list for cookie trays or holiday parties this year! In a large bowl or the bowl of a stand mixer, cream together the butter, powdered sugar, and vanilla. Add the flour and salt, and mix to form a thick dough. Fold in the chocolate chips. Shape the dough into a disc, wrap in plastic wrap, and chill 30 minutes. After thirty minutes, preheat the oven to 325. Roll the dough out into a rectangle approximately 1/4 inch thick on a lightly floured surface. Using a pizza cutter or sharp knife, cut the dough into rectangles. Place on a parchment or silicone lined baking sheet and bake 18-20 minutes, or until lightly golden on the bottom. I got a laugh over your comment about cookies and tacos. Those are the most common made foods at my house too! :) These cookies look amazing. 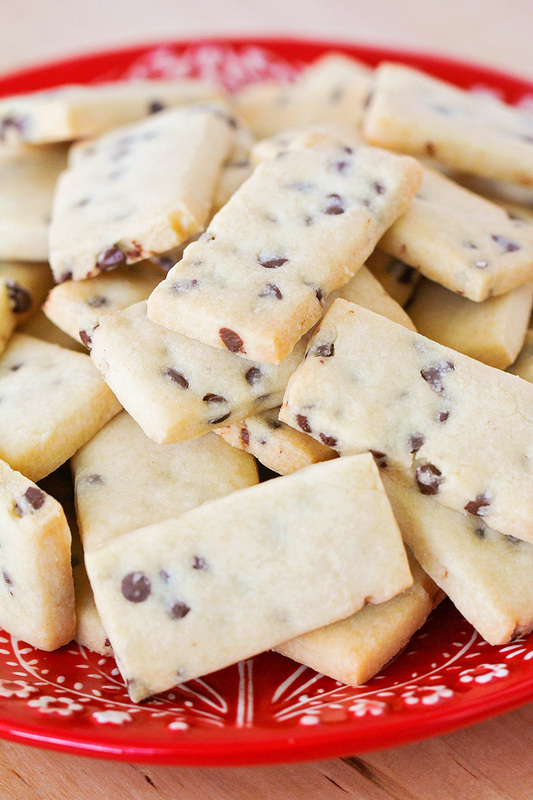 I love a good shortbread cookie, especially if it includes chocolate!